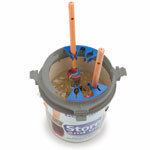 For use with all water and solvent based paints and all types of paint brushes. Put the brush directly into the gel. Ensure all bristle is covered with gel. The brush gel seals the brush. Store for days, weeks and even months. 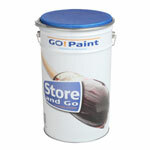 For immediate re-use, remove gel by wiping off on rim of spare pot and clean with a cloth.